1. It’s a Totally Happening Life – We’re pretty big Beverly Hills, 90210 fans in the Timid Futures household. Really big fans. I watched the show religiously while it was in premieres, and we bust out the re-runs whenever we get a chance. We catch ourselves having long conversations between each other about characters and their motivations. Most characters; we don’t typically explore Andrea. 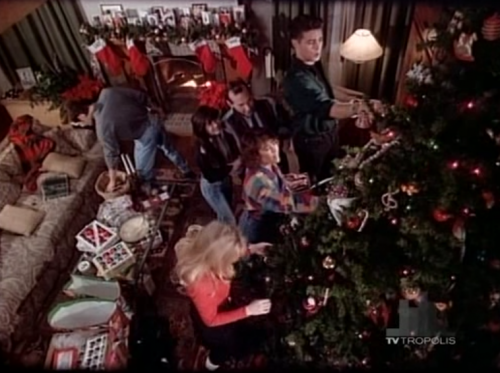 Every holiday season we make sure to watch all of the Christmas episodes; there are good ones (Season 7’s Secret Santa and Cindy’s marital strife stands out) and not so good ones (Season 4’s lame clip show and airplane’s-gonna-crash “drama”), but there’s one that’s a clear head and shoulders above the rest. I’m talking about “It’s a Totally Happening Life”. By season 3, 90210 was pretty smug about its status as a tastemaker among teens. Each episode had the hottest music of the day, the fashions were (sometimes laughably) on point, and the show frequently took it upon itself to try and introduce new fashions like a radish boutineer for a school dance or his-and-hers diamond earrings as wedding gifts. So it shouldn’t be a surprise that they were confident enough to take on a classic movie, It’s a Wonderful Life for their 1992 Christmas episode. 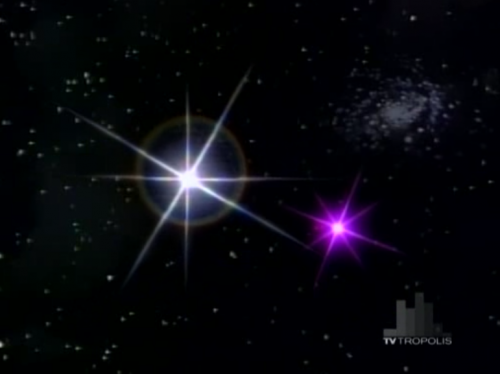 The backbone of the episode features two angels in heaven, Clarence and Miriam. 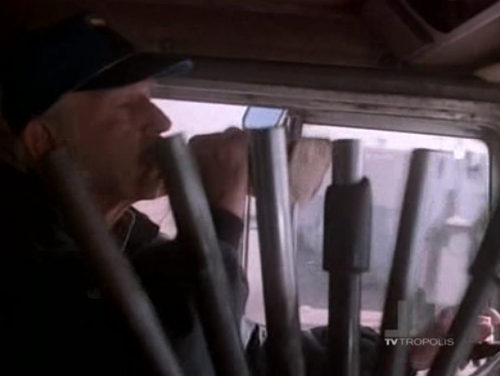 Fun Fact: The actor doing Clarence is Quaid’s work-buddy-turned-attempted-killer in Total Recall. Miriam gets Clarence’s attention because there’s a disaster about to happen to a bunch of rich kids in Beverly Hills and it needs celestial intervention. Miriam introduces each member of the gang to Clarence, and the audience, as if we were meeting them for the first time. 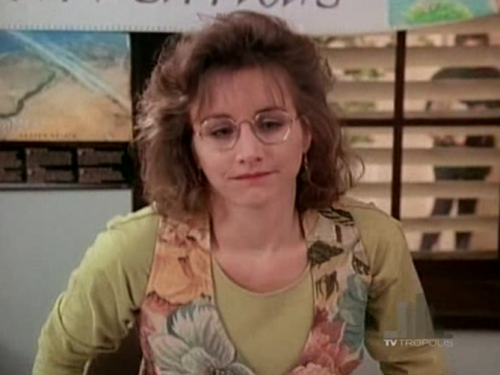 She goes over their current place in the series’ soap-ish story arc so that everyone’s up to speed: Brenda and Kelly are fighting over Dylan, Steve’s on suspension for breaking into school and trying to change his grades, Andrea’s boring and in love with Brandon, Brandon’s awful, and Donna is organizing a charity event for less-fortunate children. And David’s just recording it all on a video camera. The camera angles in this episode are completely off the rails. 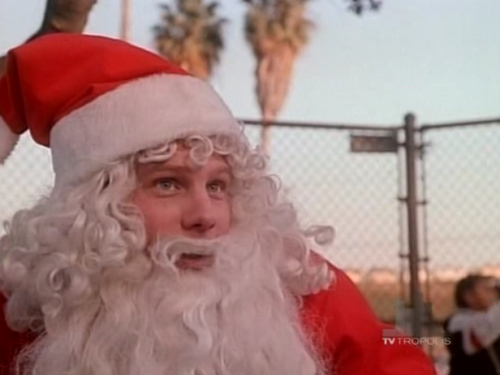 The first half of the episode, outside of the angels’ commentaries of how cool and beautiful the gang is (seriously), consists of the soap-opera storylines being lit on fire: the love triangle heats up, Brandon breaks up with his girlfriend and kisses Andrea and that somehow goes poorly, and David’s got some hangup about not being a senior like the rest of them. It all results in the gang bailing on Donna for the charity thing she’s organizing. She’s screwed for about 5 minutes and then the gang is forced to go to the event anyway. All of this leads up to the event that’s what gets the angels involved: there’s a drunk driver on a semi about to smash into the school bus and kill everyone on board. Just like It’s a Wonderful Life, right? Seriously, the only parallel here is that there are angels. Clarence confidently reveals that he already diverted the drunk driver, but it turns out that he diverted the wrong guy and he only gets one use of that special power because of angel rules. The angels stress over this for a few seconds and then God Himself intervenes on the behalf of a bunch of rich kids in a school bus. Sorry, starving kids around the world, the BH gang needs God’s attention! The gang safely arrives at the charity event and Steve’s there dressed as Santa to join them. There’s a little Christmas warmth and then we’re out. This whole thing is just a weird episode, just a really weird episode, and I can’t figure out the decision-making process that led to where this whole thing ended up. At the end of the day, though, it’s very Christmas-y so mission accomplished. Oh, and Miriam got her wings. Here’s the episode. While I have my gripes, I can’t turn away. That’s kind of the thing about this series, and why I love it. I have bigger gripes about the series, ones that will never be resolved. I wish John Sears had been an ongoing nemesis for Steve, like that he had bought a rival magazine company after college. I wish the New Evolution cult had continued to haunt Kelly for the rest of the series, trying to throw wrinkles in her life for walking out. I wish David had continued trying to make his music career take off. Oh, wait. Here you go. Poor Donna. *And if way-too-deep discussions about 90210 are as much your thing as they are mine, check out The Blaze wiith Lizzie and Kat podcast. I seriously can’t stop listening. 2. 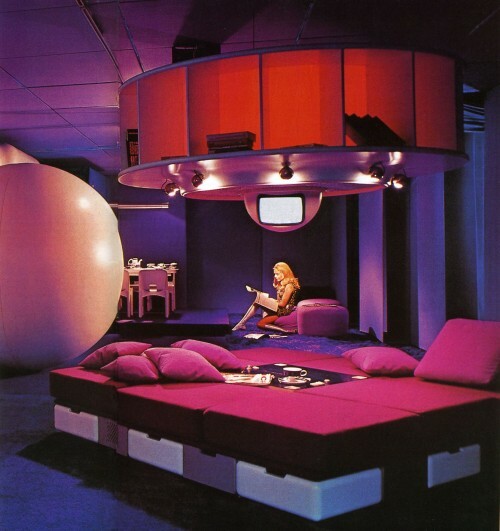 Visiona 1 – Here’s Italian designer Joe Colombo’s take on the living space of the future, presented as the Visiona 1 exposition sponsored by Bayer in 1969. Beautiful stuff. And here’s some video of the exposition itself, where people can actually get in and fiddle with the space. It’s oddly comforting to me that the bathroom is still cluttered. 3. Japanese Twin Peaks Coffee Commercial – At some point this week I got impatient for the Twin Peaks revival on Showtime and started clicking around. I came across this 1993 Japanese coffee commercial. Amazing! 4. 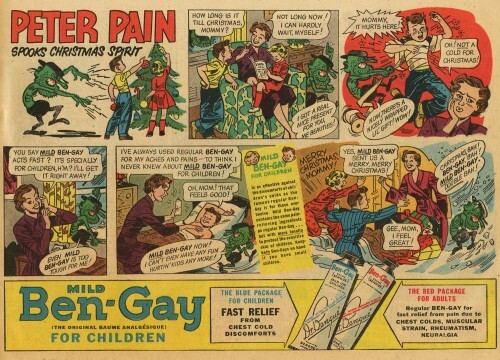 Peter Pain Spooks Christmas Spirit – Peter Pain was a Ben-Gay anti-mascot. Kind of like the Noid, but for Ben-Gay. That gives me just enough information to barely understand this comic. 5. 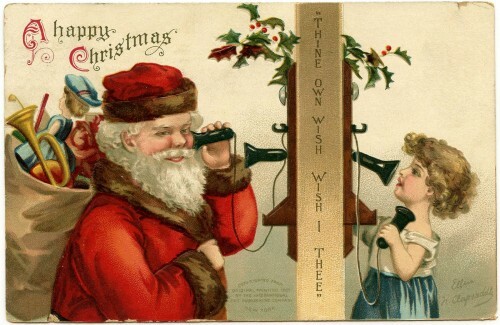 Thine Own Wish Wish I Thee – Oddly worded, but beautiful.